Dan Scott & Associates, Inc. is a veterinary distributor for the leading equipment manufacturers in the world. 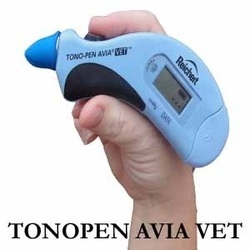 Dan Scott & Associates, Inc. is the exclusive veterinary distributor for the ClearView Optical Imaging System, Tono-pen Vet, the CryoProbe for cryosurgery, the Medtronic Guardian RT Continuous Glucose Monitor, the Low Level Laser Therapy System, and the Kowa Genesis Digital Fundus Camera. We also distribute the Cardell Blood Pressure Monitors, Nellcor Pulse Oximeters, Respironics Capnographs. Dan Scott & Associates, Inc. represents the full product line of the following manufactures: Reichert, Medtronic, Welch Allyn, Volk Lenses, Keeler Ophthalmics, Kowa Optimed, and Midmark. Dan Scott & Associates, Inc. specializes in unique and exclusive products for Veterinary Medicine.